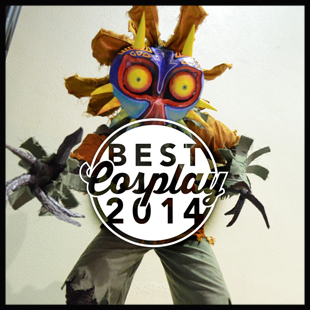 That's because 2014 has been an absolute goldmine of incredible cosplay, and there was almost too much to pick from. Whether it was great video game cosplay at the various PAX conventions, the insanely competitive outfits on display at San Diego Comic-Con, the nuclear explosion of artistry that is Dragoncon, or any other the other conventions and events we covered, we were, time and time again, completely blown away. As a result, we couldn't narrow our selections down to just 1 "best of". But lucky for you, our indecision is your gain, because we're celebrating the year in cosplay by showcasing our 100 favorite costumes from throughout the year. Related: see The Year In Cosplay part one. Whether you made your first costume, have been cosplaying for years, pricked your fingers sticking in pins, or styled that wig just right, we want to applaud you for your awesome work (and maybe ask for some advice for our next costume).